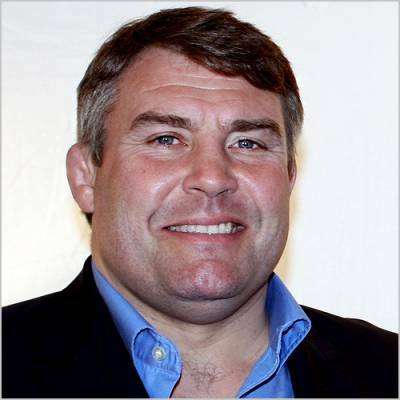 Legendary rugby star Jason Leonard will be Guest of Honour at the Midlands Sportsman’s Luncheon’s 25th Anniversary on Wednesday December 17 at the Macdonald Burlington Hotel. It is top timing as the man known as ‘The Fun Bus’ and ‘The Scourge of the Barking Barmaids’ becomes President of the Rugby Football Union in World Cup Year 2015. The always high profile event also features internationals Tim Stimpson, who will be master of ceremonies, and guest speaker John Bentley, along with impressionist and comedian Kevin Connelly. It will be honouring the late host Greville Edwards who ran the luncheon in idiosyncratic style over many years before handing over to sports hospitality agency Eventmasters. At the age of 21 Leonard was the youngest prop forward to ever play for England, and has won the highest international accolades possible – 114 England appearances, Grand Slams (1991, 1992, 1995 and 2003), the 2003 Rugby World Cup, and Lions tours in 1993, 1997 and 2001. There will no doubt be reminiscences from that 1997 winning British and Irish Lions tour of South Africa – Stimpson was top point scorer with 111 and Bentley notched the most tries, seven. Expect plenty of light-hearted banter – here’s an excerpt from Leonard in conversation with BBC commentator Ian Robertson. After the collective mirth had subsided, Robertson informed Leonard that it was in fact the phoenix which was famous for rising from the ashes. And there should be plenty of insight into rugby and the forthcoming World Cup from a man who will be the first from the professional era to lead the RFU. Leonard, who played for Barking, Saracens and Harlequins, is promising to be a “hands-on” president to help ensure that the game gets the greatest benefit from hosting the tournament. But he has never forgotten his roots, rising from obscurity as a carpenter on building sites. Appealing for everyone to get behind the World Cup, he said recently: “Rugby clubs seem to be the real hub of the community and the work that all the junior clubs does is absolutely fantastic. “Rugby is the kind of sport that people don’t walk away from. When you finish playing rugby you might go and coach and when you have kids you end up coaching them because the kids are playing in the rugby club. This is just an extension of that. We want everyone involved as much as possible. Since retiring from playing, Leonard has gone back into the construction business while also maintaining a successful career as an after-dinner speaker. Denise Sheasby, managing director of Eventmasters, said: “It is going to be a great occasion – you write off work for the day when you walk through the door.